Welcome to Red Couch Recipes. I hope you had a great Memorial Day Weekend. We spent it in the southern part of our state where it was sunny and warm -- palm trees, but no ocean. 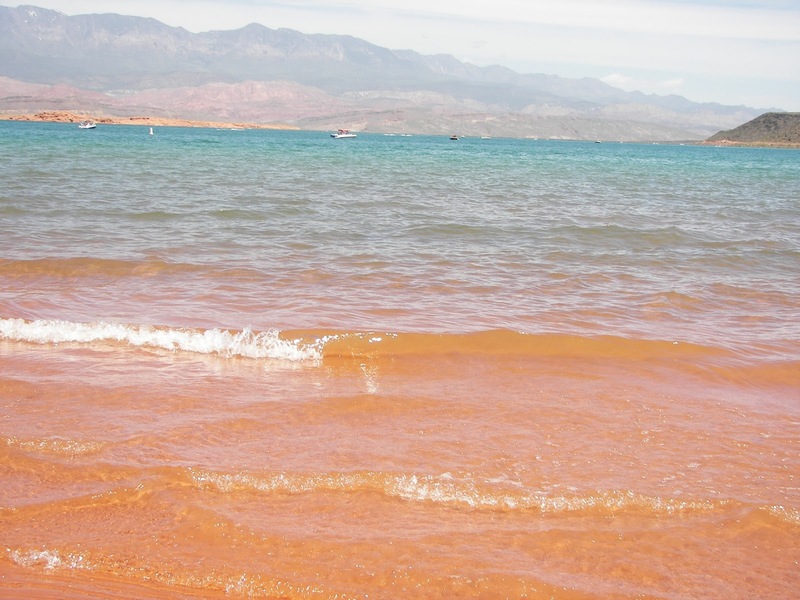 Sand Hollow State Park is a good substitute -- I love to swim in lakes. 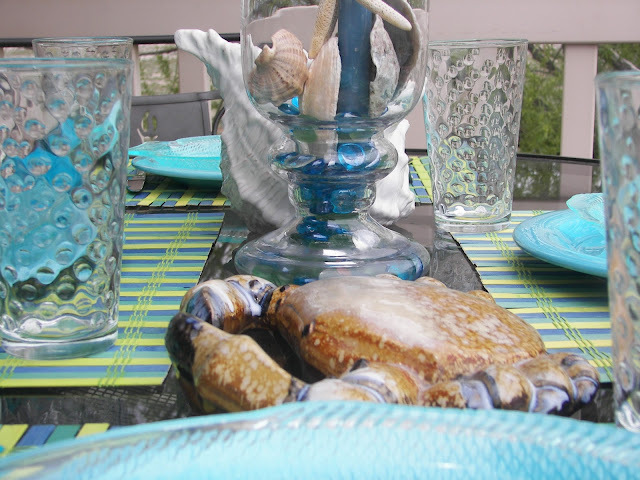 So today I bring to you a simple beachy table. Just a simple fish plate on a turqoise plate. 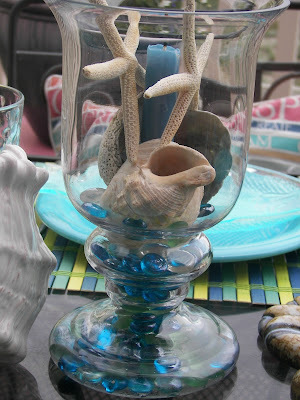 I took some beachy elements from my daughter's dresser -- the large glass shell and the crab. I filled a glass candle holder with some shells, glass pebbles, and a candle. I love these new "everyday" glasses I was given by my family for Mother's Day. Here is my "bubble glass" view. Thanks for coming by my Red Couch to view my Beachy Tablescape -- the next best thing when you don't have a beach. Great outdoorsy table. Beach theme makes me long for REAL summer weather. Fabulous table, Joni! The colors are wonderful. Beautiful table, Joni. I love turquoise. BTW, I am in love with your state, just from the few blogs such as yours, Julie Harward, and Art & Alfalfa. I can't wait to visit one day. Beautiful tablescape. I wish I was there! 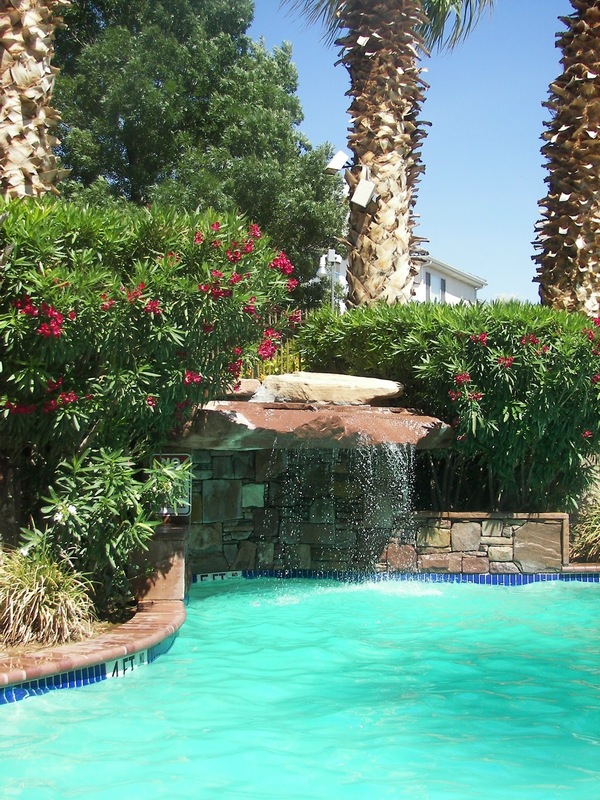 It is time to start dreaming of beachscapes! Yours is marvelous. Those glasses are just mesmorizing. I love these wonderful colors, they do feel beachy! The fish plates are so cute! I would love this tablescape anytime! Love the bluey turquoise color that you used. Very pretty table! Great job! This is so pretty. 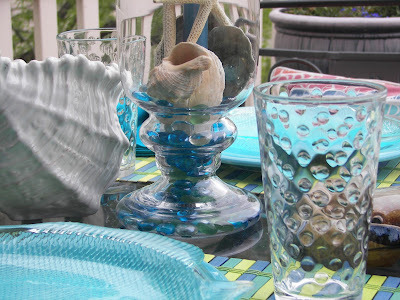 I love the sea glass colors! 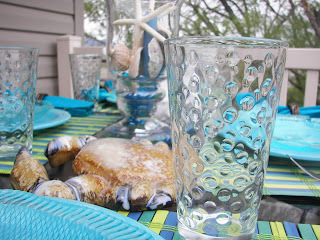 Beachy tablescapes are the best. Love this, love the colors! Beautiful! 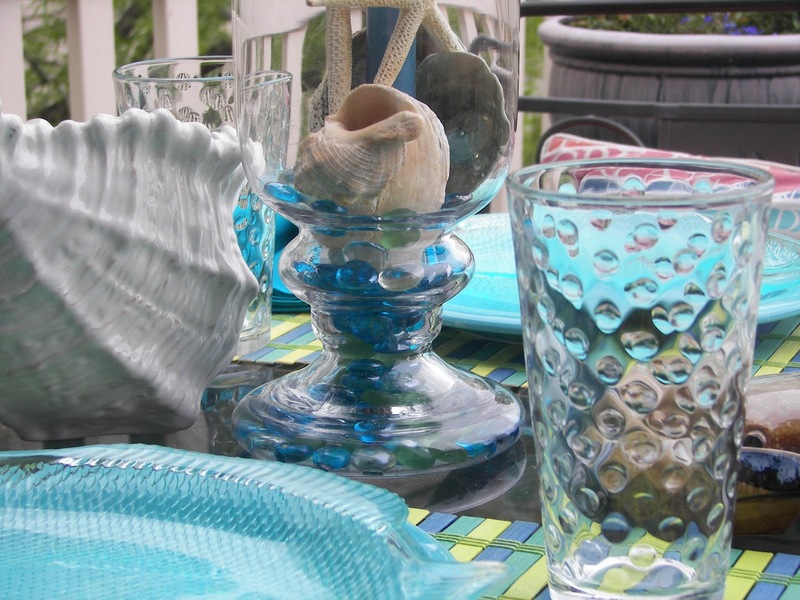 I love the cool colors and those wonderful glass fish plates. What a gorgeous setting and view! Looks like you had a great time. Your table is charming. I always enjoy seeing a beachy theme, ocean or not. The colors are wonderful. 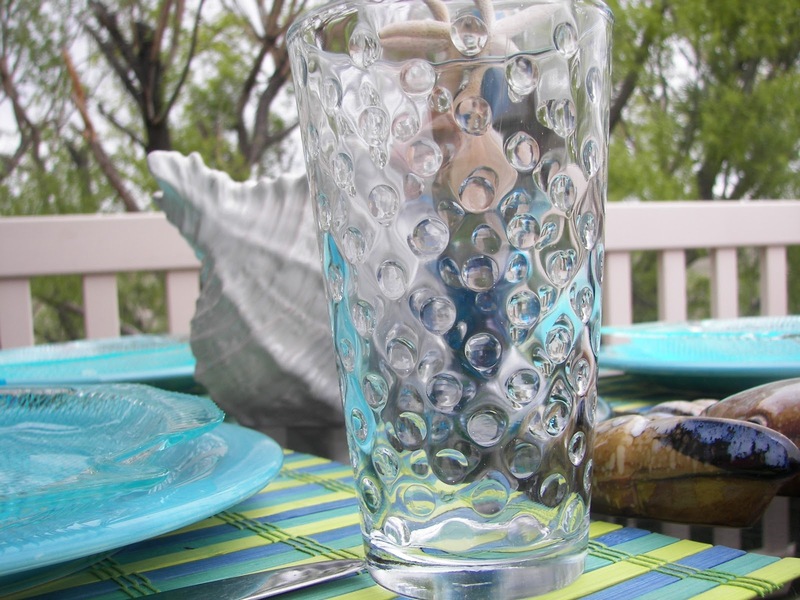 love the glass crab and your new bubble glasses. Hi lovely lady. You did a beautiful job on your Tablescapes for the beachy theme sweet lady. I love your dishes and your glasses for the theme Great Job. I feel like I'm in the Carribean again. So bright and summery. I need summer right now. Will it ever get here? You captured the colors of the sea!! Beautiful tablesetting. I also scrolled down to see your patriotic cookies - so cute! I Love the blues and the bubble glassware is very cool. 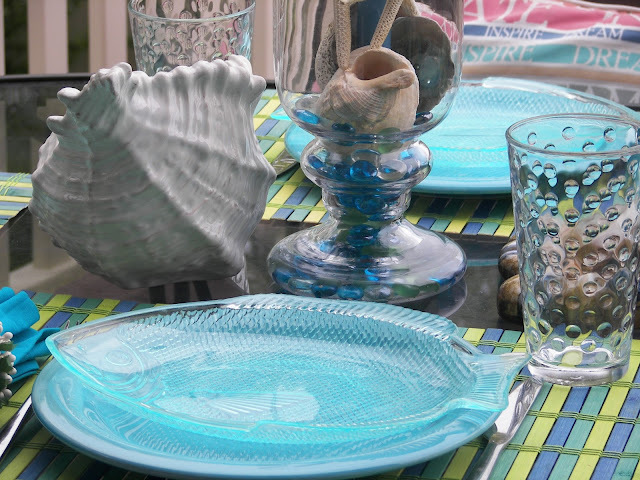 "Beautiful, The turquoise and white with the shells and your plates ARE PERFECT"! They spell BEACH! LOVE the pictures AND YES that is a beautiful lake...Thanks for taking us along. 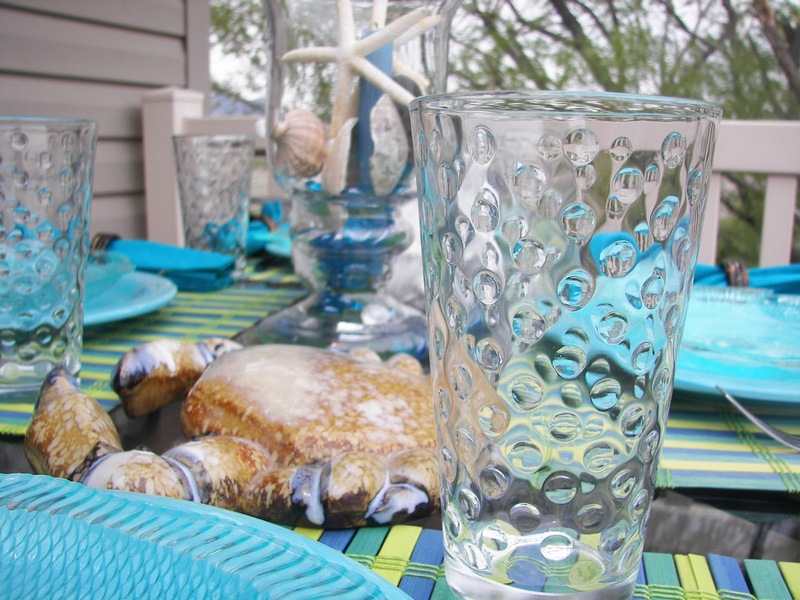 Lovinn' the bubble glass and the turquoise plate~so pretty! Joni, This is a lovely tablescape! It is so colorful - pretty in blue! I am really liking those fish plates.